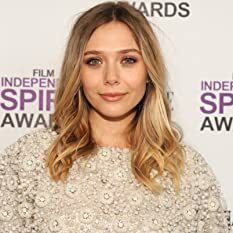 "Wind River" is a gripping murder mystery-thriller written and directed by Taylor Sheridan (Best Original Screenplay Oscar nominee for "Hell or High Water") starring Jeremy Renner, Elizabeth Olsen and Graham Greene, featuring an unusually strong supporting cast that includes many fine Native American actors. Renner and Olsen play a U.S. Fish and Wildlife Service tracker and an FBI agent, respectively, attempting to solve the murder of a young woman whose body is discovered by Renner under mysterious circumstances as he patrols the Wind River Indian Reservation in Wyoming. The film scrupulously avoids clichés and is tightly edited with nary a wasted moment, yet never feels rushed or artificial in performance or plot. Everyone and everything is there for a reason, and best of all, the audience is given credit for being able to keep up and connect the dots. The violence, which is absolutely necessary, is kept at a bare minimum as a narrative device, explaining and clarifying rather than assaulting the senses. Every character, even the most heinous, is portrayed as a fully developed human being rather than as stereotype. We learn how the Native American culture is victimized in a way that takes us inside their world and their souls, but the journey is skillfully handled and never heavy handed. The photography is perfectly rendered, celebrating the icy Wyoming scenery in a muted style consistent with the mood of the story. 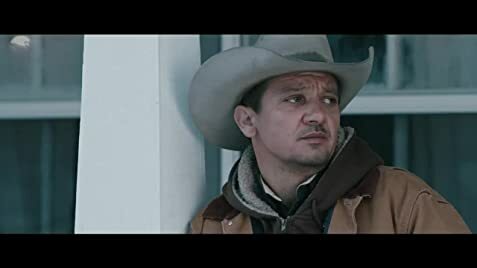 Renner, Olsen and Greene are excellent and believable, but in no small way this is an ensemble piece whose potency and effectiveness derive from the palpable passion and belief of everyone in front of and behind the camera. This is an engrossing story well worth your time and money, and kudos to everyone involved for having faith that a discerning audience will find and appreciate it. 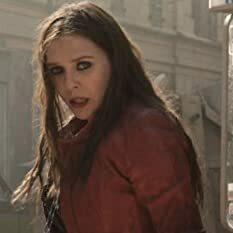 This is Elizabeth Olsen and Jeremy Renner's third time working together on a movie, after Avengers: Age of Ultron (2015), and Captain America: Civil War (2016). Natalie: There is a meadow in my perfect world. Where wind dances the branches of the tree, casting leopards spots of light across the face of pond. The tree stands tall, and grand, and alone, shading the world beneath it. It's not possible to freeze the lungs by running, even in extreme cold. Air gets heated by the nose and throat before it reaches the lungs, and the lungs themselves are continually heated by the circulating blood. You'd die from hypothermia long before the lungs could freeze.